We use premium grade, 100% all natural travertine, marble and onyx in the production of all of our natural stone kitchen sinks, bathroom sinks, vessel sinks, bar sinks and bath tubs. All items are made in Mexico and strictly conform to the following standards. Please see individual product descriptions for the suggested installation type. Some sinks allow for more than one type of installation. Our stone sinks and stone bathtubs are NOT equipped with an overflow device. All 'Twist 'n Turn', 'Soft Touch' or 'Grid' type drain fittings that are made without the overflow attachment work with our stone sinks and tubs. Except where noted, all measurements given are approximate exterior, rim-to-rim measurements. Due to the nature of hand-crafting, measurements will vary slightly from those stated in individual product descriptions. It is suggested that you wait until you have the actual sink on hand for exact measurements before cutting any surfaces. Natural stone comes in a wide spectrum of colors and veining patterns. Follow the link to discover just how big of a role Mother Nature plays in the creation of each and every one of our stone sinks and vessel sinks. Stated quite simply, our travertine, marble and onyx kitchen sinks, bar sinks, bathroom sinks, vessel sinks and bath tubs are made to last! 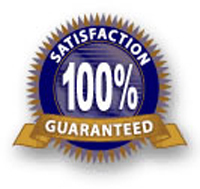 They even come backed with a lifetime guarantee! While many our stone products and designs have been copied and cloned by other tradesmen, nowhere else will you experience the quality of materials and superb craftsmanship as those found in a Treasures D' Old Mexico natural stone kitchen sink, natural stone bathroom sink or natural stone bath tub. Without exception, our artisans are the creme de la creme among stonemasons and are widely acknowledged as the masters of natural stone!